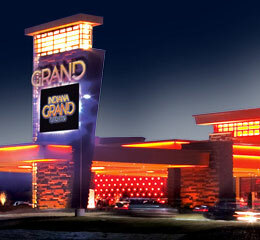 Indiana Grand Racing & Casino will kick off its 17th season of Thoroughbred and Quarter Horse racing Tuesday, April 16. SHELBYVILLE, IN—APRIL 12, 2019—Indiana Grand Racing & Casino will kick off its 17th season of Thoroughbred and Quarter Horse racing Tuesday, April 16, 2019. The first race will go to the starting gate at 2:15 p.m. to signify the start of the 120-day racing season. "We are very excited to get our 17th season or racing underway at Indiana Grand," said Jon Schuster, vice president and general manager of racing. "With our complete track renovation just completed and playing off the success of our new wagers last season, we are hoping to get the momentum started early with added incentives for our handicappers. It's also very encouraging to see such a great turnout of entries for our first draw."